Pastry Bureau of Investigation: Who is the Plate? 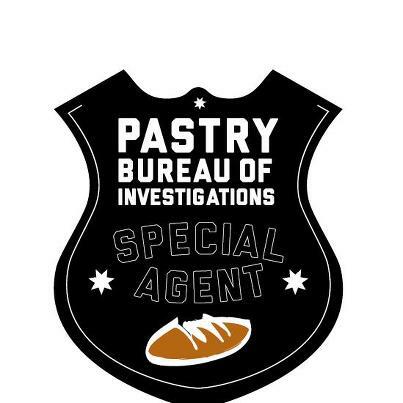 And the Pastry Bureau of Investigation was born. We even have a badge, courtesy of Rob Kimmel, of robkimmeldesign.com and wandermonster.com. Use the badge for good! And musicals. Boy howdy does he ever. I know that at least one of the above “facts” isn’t factual, but beyond that, my lips are sealed!